From the director of Monsters Inc. and Up!, Pete Docter has once again created another amazingly imaginative world of what emotions are like inside one’s head. Do not doubt, they are living! 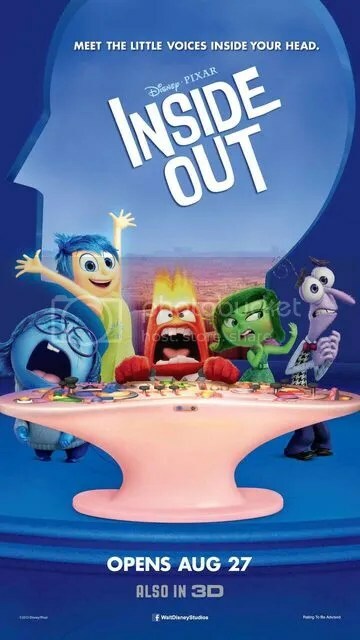 Step right into Inside Out where the producers behind Cars and Brave marvelously brought OUT 5 of the core emotions INSIDE you to the big screen. Introducing humans five main core emotions, Joy, Sadness, Anger, Fear and Disgust, Disney now brings people closer to what they are and wait, how they are like by seeing into Riley’s mind. This movie presents memory orbs which hold past events as memories. These orbs differ in colours based on what Riley was feeling at that moment. While most of Riley’s memories were stored as glowing yellow orbs, things seemed to have changed when she reached 11. 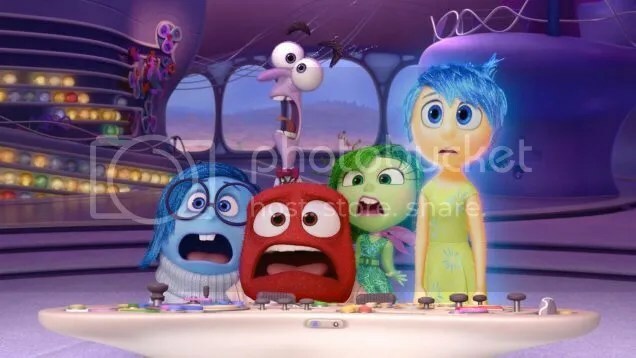 As all five emotions fought to keep Riley together and optimistic towards life, Joy and Sadness were forced out of the Headquarters with important Core Memory orbs. These orbs were vital for Riley to be who she was and could never leave the Headquarters. In search for a way back, Joy and Sadness ventured through Riley’s Long Term Memories, Islands of Personalities, Imagination Land and various locations which represent the different systems of a human. With Anger, Fear and Disgust in-charge of the Headquarters, Riley’s life took a downturn. Without Joy, Sadness and the Core Memory orbs, can Riley still be who she used to be? 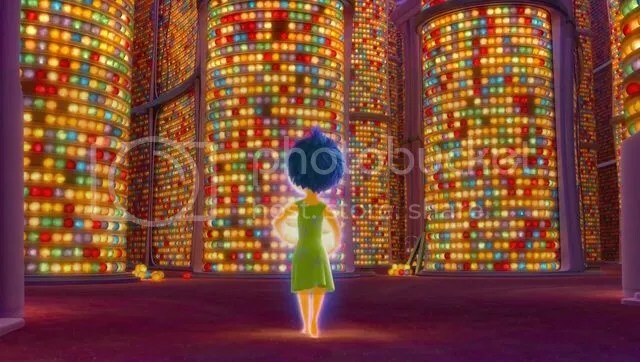 With memory orbs as a form of memory storage and the Headquarters representative of our short-term memory system, the movie was stunningly accurate to give an animation depiction of how our minds work. The production teams also played with related phrases like “train of thought”, depicted with a train driving through various parts of the mind to send packages of ideas to the Headquarters daily, and themes like abstract thinking, imagination and memory loss. No doubt the movie has been widely praised as a fantastic and clever idea. More importantly, this movie has also conveyed important messages about the role of Sadness in one’s life. While avoiding to spoil the plot, Joy and Sadness played key roles in Riley’s life and neither one can be absent. Similar to real-life, not every stage of one’s journey would be all happy and joyful. Sometimes, the most valuable memories made in life are those filled with tears. The animation movie may have a simple plot but it also sends out powerful messages to everyone about emotions and outlook of life, some of these have been picked up by many to raise greater awareness towards mental health. 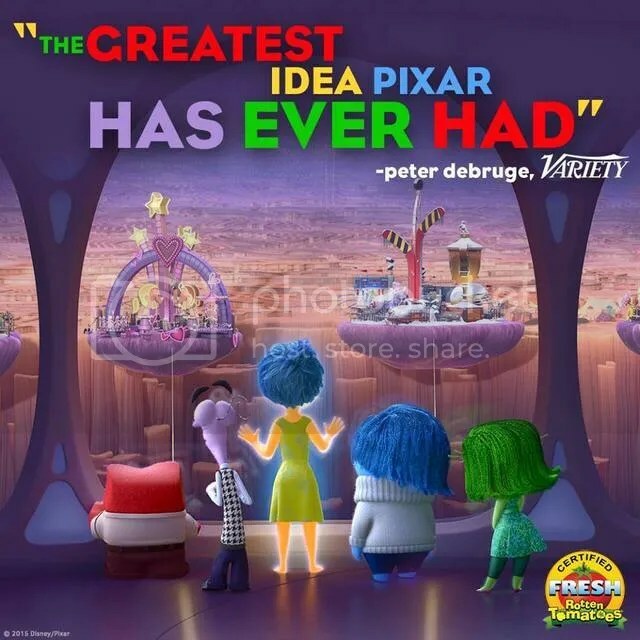 Inside Out is now open in all theaters.